Air Canada has upgraded its upcoming nonstop service between Vancouver and Melbourne from seasonal to year-round. The Star Alliance member is scheduled to begin seasonal flights to Melbourne – its third Australian destination alongside Brisbane and Sydney – from its Vancouver hub four times a week during the peak summer holiday period between December 1 2017 and February 4 2018 with Boeing 787-9 equipment. Following a near four-month hiatus, Air Canada will then commence year-round flights on the route three times a week from June 1 2018, with a morning departure from Melbourne and an overnight service out of Vancouver. The announcement was made in Vancouver on Thursday (Canadian time). Currently, Air Canada flies daily from Vancouver to Sydney with Boeing 777-200LRs, with the airline sometimes using larger 777-300ERs during peak periods. The airline started daily services on the Brisbane-Vancouver route with 787s in June 2016. Air Canada director of sales for Asia Pacific Lee Poh Kait said the new Melbourne service would offer convenient connections to Canada and beyond for Victorians, South Australians and Tasmanians through connections with codeshare partner Virgin Australia. Melbourne was one of three new services from Vancouver (YVR) that Air Canada announced on Thursday alongside Paris and Zurich. The Canadian flag carrier’s 787-9s used on international routes are configured with 298 seats comprised of 30 in business, 21 in premium economy and 247 in economy. In December 2016, Virgin Australia and Air Canada announced a codeshare partnership. Under the agreement that went live in May, Virgin places its VA airline code on Air Canada’s flights from Los Angeles to four Canadian cities – Calgary, Montreal, Toronto and Vancouver. 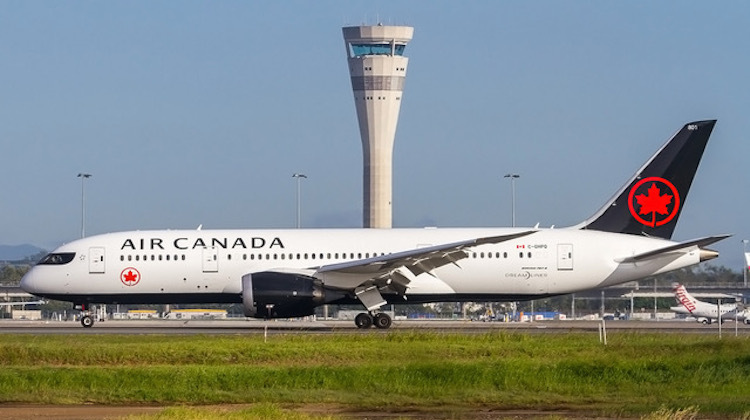 The Australian carrier also planned to codeshare on Air Canada’s nonstop flights from Australia to Canada, and offer reciprocal frequent flyer benefits, at a later stage of the partnership. While Qantas has operated seasonal flights between Sydney and Vancouver with 747-400s since January 2015, Air Canada is the only airline offering year-round nonstop flights from Australia to Canada. Would be very good, start with seasonal, test the market, then go full time. I do not know about BNE or MEL, but the SYD route actually continues with the same aircraft and flight number onto Toronto. Its about time, now people will see how easy it is to transit from domestic to international at Melbourne, a short walk, NO bus. I travel to Canada yearly, and am sick and tired of screwing around with Sydney, tried thru Brisbane last year, only marginally better, still using a bus, Went with Air New Zealand this year, better, but takes hours longer. Can’t come soon enough. Good news, we travel home to Canada from Perth 3-4 time and per year. Love the Dreamliner, and business class, wow.